VERO BEACH – A 41-year-old man was arrested after he entered a Vero Beach clinic through the employee door and started a disturbance. 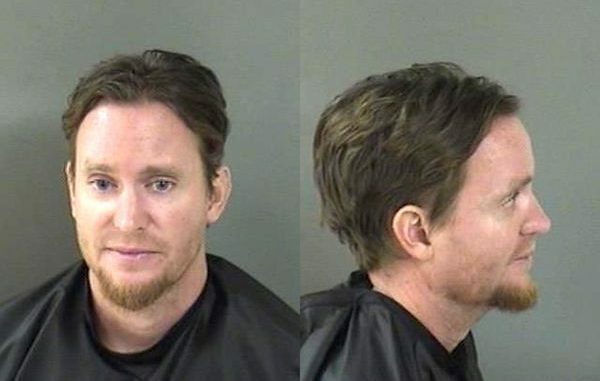 The Vero Beach medical staff for Dr. Williams and Dr. Gottfried called the Indian River County Sheriff’s Office after a man, identified as Joshua Anthony Storey, entered their offices through the back door and began to argue with employees. When deputies arrived, Storey was outside with the office manager after creating a disturbance inside the business. The manager told deputies that Storey was asked to leave multiple times. “When I made contact with the defendant, he was very belligerent. I asked him to leave the area several times but he refused,” the deputy said. After the deputy gave Storey several clear verbal warnings to leave the area, the subject was detained. Storey was arrested and transported to the Indian River County Jail where he was charged with trespassing. While at the jail, Storey continued to be noncompliant with staff and had to be removed from the booking area. Scott Lee is a columnist and reporter for Sebastian Daily. Scott moved to Indian River County in 2015 and has been writing for various publications for approximately 30 years. Currently, he writes part-time and manages a featured column about local businesses in Sebastian and Vero Beach.